David J. Wallin. 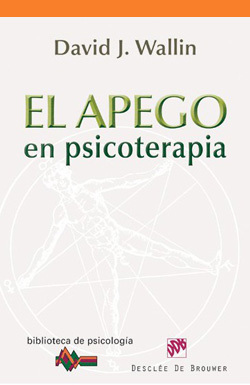 El apego en psicoterapia. Bilbao: Desclée De Brouwer, 2012, 500 pages. Translated by Marta Pino Moreno. ISBN: 9788433025494. Spanish translation of the original title: David J. Wallin. Attachment in Psychotherapy. Guilford Press, 2009.Published in Spanish by Desclée De Brouwer.